Does the fan on your furnace keep running but you're not getting any heat? You may have a problem with your limit switch. 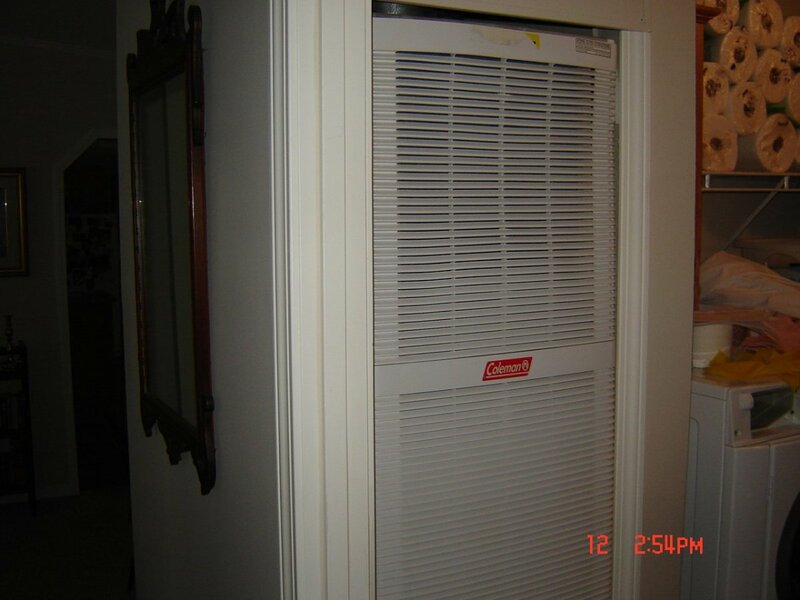 There are many common furnace problems that can make the fan keep running. This is because when the furnace defaults, the fan can be used to help reduce risks caused by the problem. In this case, it would help to cool down the furnace if it has overheated. The problem with that here is that if the limit switch is bad, it is sending a false message to the furnace and causing it to believe it is overheating when really it's not. 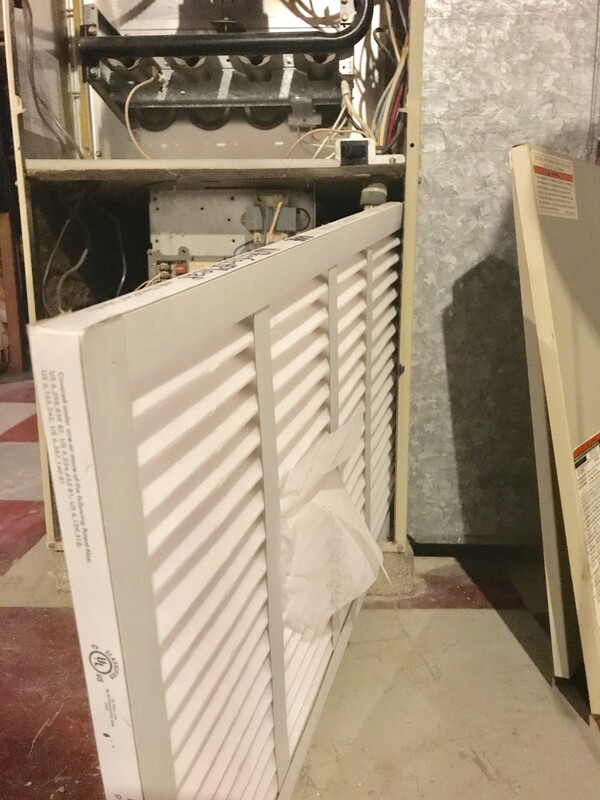 Often times when a furnace malfunctions, it will run the fan for a minute and then try to restart itself in case it was just a one time glitch in the system. It will try to start usually 3 times before going into a "lockout". After 3 times, the furnace figures there's a problem and it shouldn't try to run again. The "lockout" will last a while then it will try, and try, and try again before locking back out. 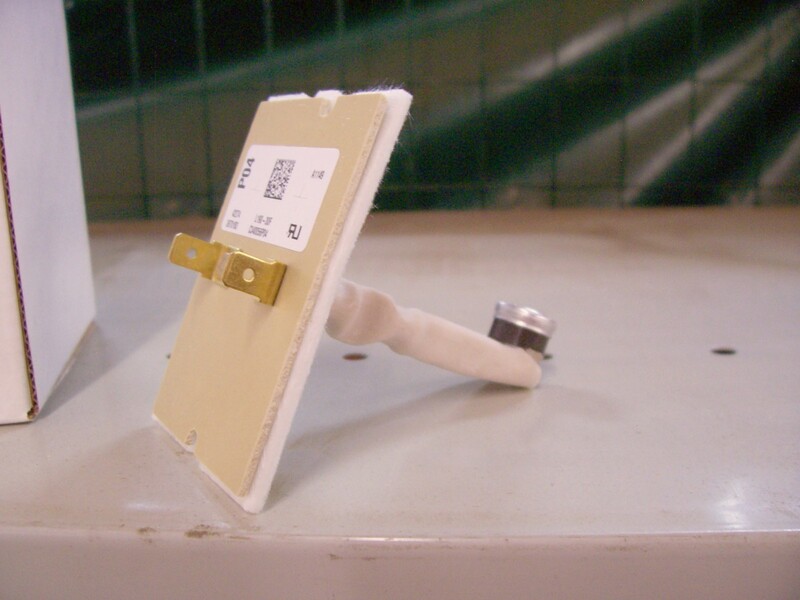 The following will tell you what a limit switch is for and how to replace it. 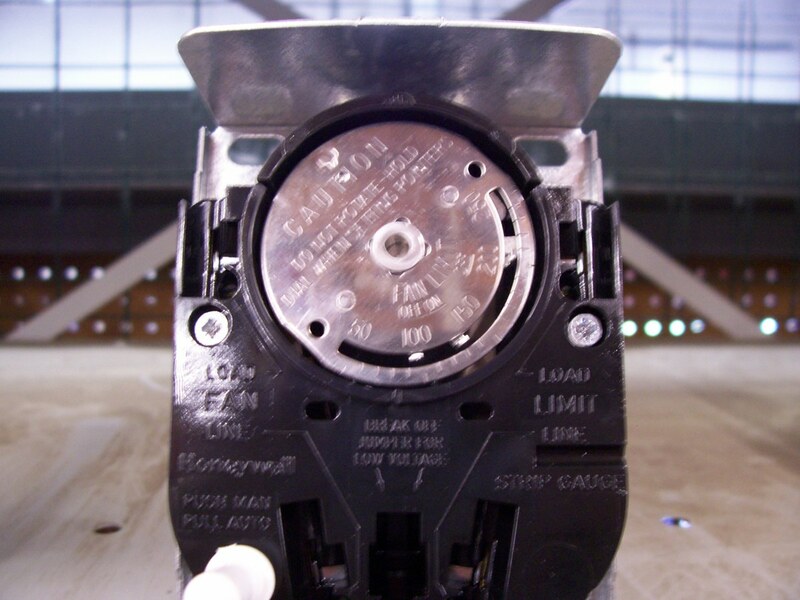 This information will also offer some photos of a couple common style limit switches and tips on finding the right replacement. What Does the Limit Switch in a Furnace Do? 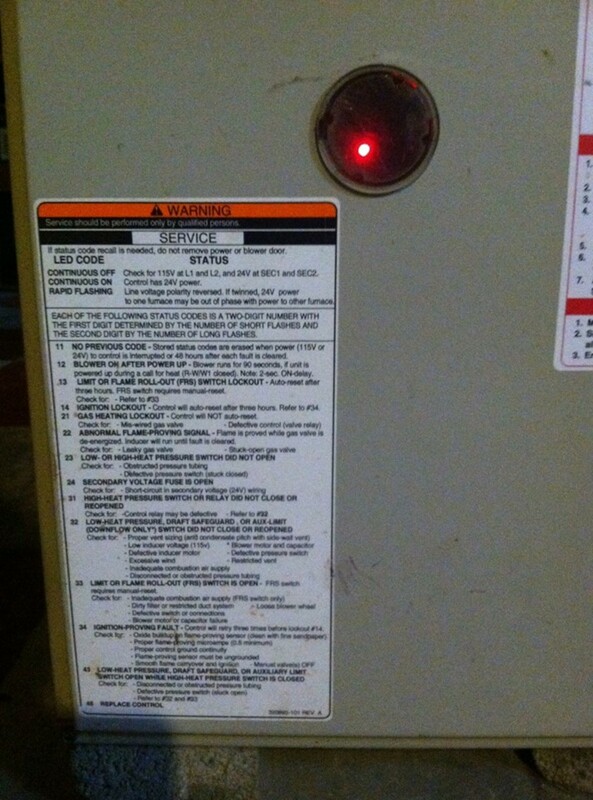 A furnace's limit switch or fan/limit switch has 3 main functions. Tell the fan when to come on. When the furnace is warm enough upon start up to begin heating the home, (about 20 degrees above room temperature) it will tell the fan to come on. (temperature setting #1) This helps to avoid cold air drafts. Tell the fan when to shut off. Once the thermostat is satisfied, the gas shuts off but the fan will continue to run until the furnace's temperature is cooled to a certain temperature. (temp. setting #2) This helps to make use of residual heat that is left in the system after the gas shuts off but not too long to again avoid cold drafts. Tell the furnace to shut down because of overheating. Let's say the flames are burning but the furnace fan breaks down...there would be nothing to push the heat out of the unit and thus creating extremely high and potentially dangerous temperatures in the furnace. At the "high limit" setting (temp. setting #3) the switch would "trip" and cut power to the gas valve thus eliminating the danger of fire or explosion. These three functions are based on 3 different temperature settings. Today, these are factory set and unchangeable without changing the limit switch which is a bad idea. This is because the temperatures are based on the furnace's capabilities and ratings. Playing with these temperatures can cause your furnace to run less efficiently, possibly again damage the limit switch, or worse, let your furnace get much hotter than it was designed to be. You can see how this would be bad, right? Older models had a much different style of limit switch which had adjustable temperature settings but they are not used in modern style furnaces. Furnaces these days are very intelligent. Most modern furnaces have a "spyglass" that you can look through and see a blinking light. This blinking light is saying, "Hey, this is probably what's wrong with me" by blinking you a sort of Morse Code. 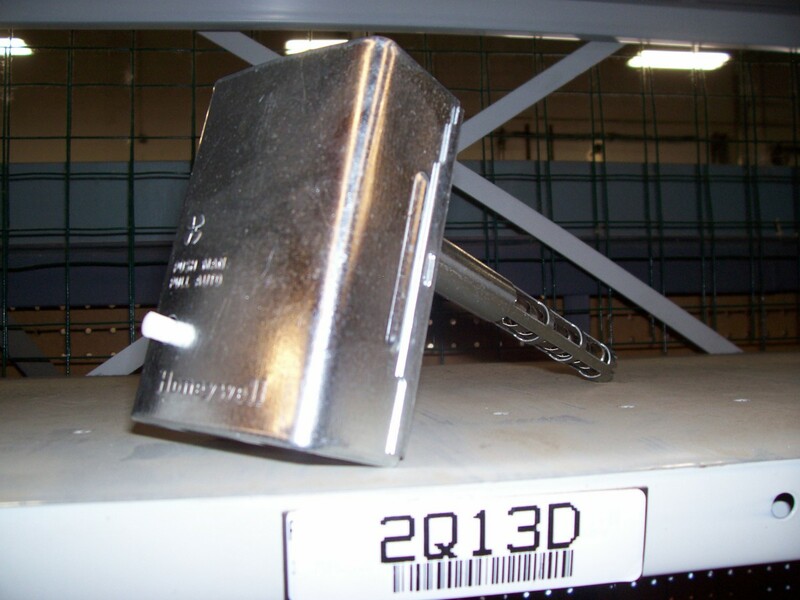 Dash, dot, dot may mean the number 12 and if you locate the code chart on your unit it might say, "Limit switch is open" or "Ignition failure". Now it doesn't tell you what happened but it does point you in the direction of the problem. This is quite handy when troubleshooting your furnace. I wrote a simple to use guide about how to interpret what your blinking light is telling you here. ...what that little light was for inside your furnace? As always, when looking for parts for anything really, it's important to have as much information as you can about the furnace. Model number, serial number, voltage/amperage ratings, etc... Most all of this information will be located on the rating plate of the unit or part. You may not need it all but if you do, you have it and won't be making a second trip to the hardware store. You're also more likely to get respectable attention from your local supplier who may very well be used to dealing with contractors. Often, wholesale suppliers get frustrated with homeowners because they don't realize what information is needed and then get upset with the wholesaler for asking so many questions. This isn't like buying pencils. The proper information is needed to protect you and your HVAC equipment. With limit switches, the temperature range will be an important piece of information as well as with the older ones, the length of the rod that protrudes from the back. The best thing to do with this part is to bring the old one with you to the dealer. I say dealer because you won't likely find these in your big box home improvement stores. Now if you're shopping online, be sure you read all the specifications carefully and compare them to yours. 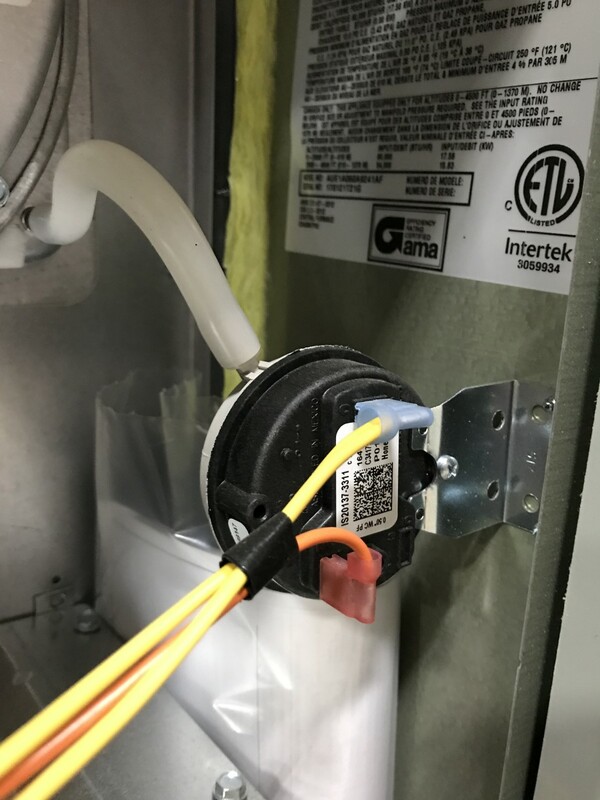 Don't guess and don't vary or you will be wasting your money, time and probably, more money since you will be buying another part or worse, damage other parts in your furnace by using the wrong limit switch. The most important part of this job is your safety. You need to be certain the power to the furnance is shut off while you're working on it. Always double check that that power is off by using a non-contact voltage detector. 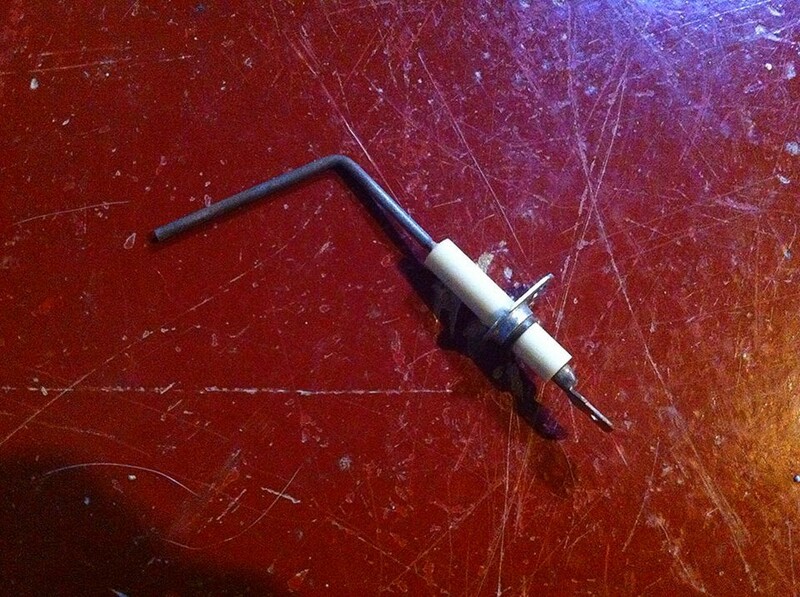 I use this simple (but reliable) Sperry Instruments one. It's inexpenseive and always works. It has saved my rear-end more than once. The button below will take you to the Amazon listing for this simple little life-saver. Once you've found the correct replacement, replacing the limit switch is quite easy really. Step 1: First, be sure you've shut off the power to the furnace either with the furnace service switch or at the breaker. These are the best ways to ensure the power to the unit is off. Step 2: Now that the power is off, you simply remove the old limit switch and wire the new one back on the exact same way. Step 3: Celebrate! You probably just saved yourself a couple of hundred dollars by doing it yourself! With the new switches, this is even easier because there are likely only 2 wires coming off of the switch and 2 screws holding it in place. These 2 wires will also likely be held on by spade terminals which are very easy to work with. 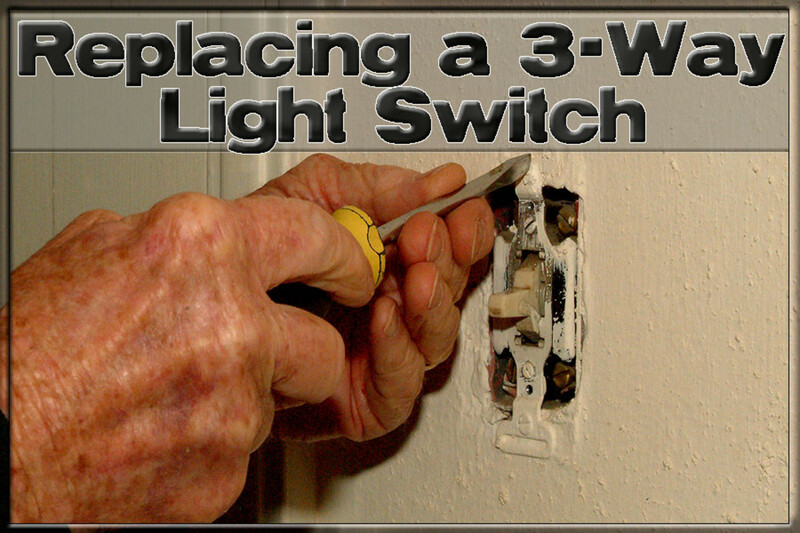 The older limit switches are a bit trickier because there will probably be more than 2 screws holding it in, 3 wires to reconnect and there may also be a tab on the switch that you will have to read your installation instructions to determine whether it is to be snapped off or not. Be sure to look at your old one to see if it was an option on it as well and you could copy what you see. Even at that, be sure to read your instructions for your new part and be sure that the settings on the dial are the same as the old. NOTE: The older switches are a bit more complex so be sure you're comfortable in what you're doing. This may be one that you'll want to turn over to a professional if you're not sure about what it is you're doing. Once the part is back in place, turn your power back on and set the thermostat so that it calls for heat so you can see that your furnace is working again. I hope this article has helped or will help you when the time is needed and that you will have that furnace back up and running in no time. Remember, don't guess or assume anything when it comes to your furnace. When in doubt, call a professional to take a look at it and know that you'll feel better knowing about the services you're being given. Does the temperature have to be the same on the new switch? The correct answer is yes. Do guys use a switch that might be 10 degrees one way or the other sometimes, yes, in a pinch to get the heat on. But I don't recommend leaving it there. Replace it with the correct one soon. They aren't that expensive to risk using the wrong one for more than temporary heat. The part says L350 36tx16 manual limit switch. What does manual mean? Did I order the wrong part? It looks like it's a rollout switch and there is a little button on top that you can push to reset it if it trips. Where can I find a 'fan' switch for a 50-year-old Coleman furnace? You will have to go to a distributor in your area and likely purchase a Honeywell. You need the measurement of the rod coming off the back. If the limit switch is bad and I have another switch from another furnace that looks the same, can I use it? Just because they look the same, no. The switch must be rated the same and have the same length as well if it's the rod type. Will any fan limit switch work on a furnace? No. 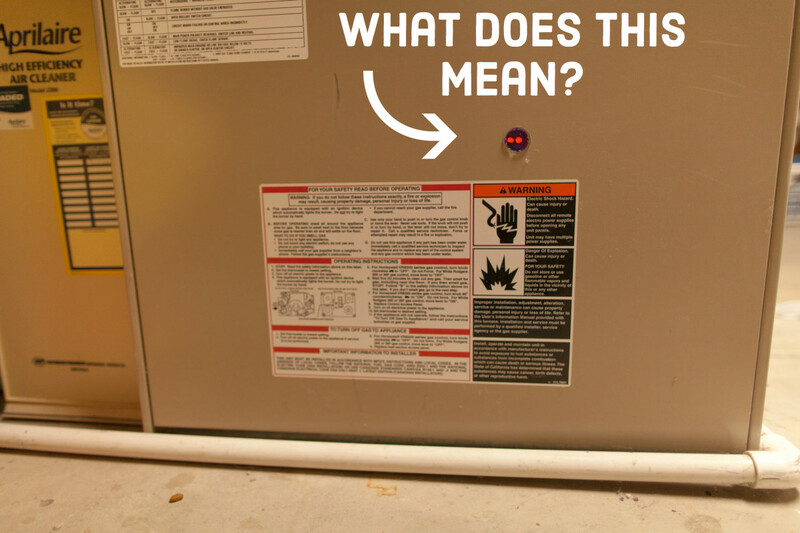 It’s temperature range is based on your furnace requirements which should be marked on the part itself. Some are also shaped/mounted differently. Kashif - There is only one main "high limit" switch on a furnace mounted to the heat exchanger wall and if it's testing out like you say then it should be fine. The thermostat sends a signal to the board for heat where the circuit board there takes care of the rest. If the fan isn't coming on when there is a call for heat then I'm guessing the problem is at the board. If the board is in fact the issue then you'd just have to replace it. That's how it sounds to me anyways. 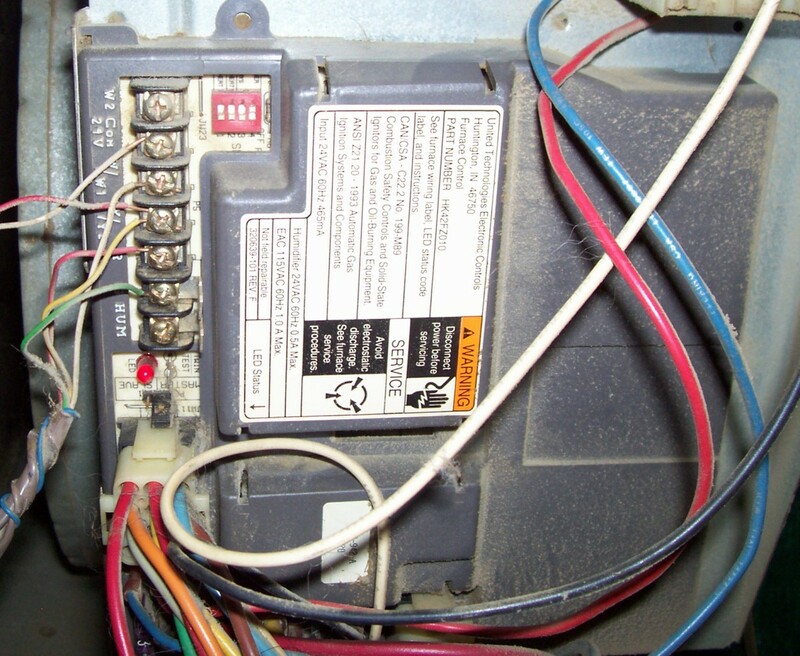 Try taking the thermostat out of the equation and jumping the red and white stat wires going to the furnace. If it works then the problem is the stat. If it doesn't then I'm pretty sure the issue is at the board. Issue: When fan is set to Auto, furnace shuts down within about 1.5 min of starting with red status light blinking 4 times (Limit Switch Open code). But it works fine when fan is set to On. Test: Verified resistance of 0L on Limit Switch after switch was reset from powering down furnace. Verified that blower does not run when Thermostat is set to Auto causing Heat Exchanger unit to overheat and tripping the switch. It seems Limit Switch works as supposed to. Question: If Thermostat is supposed to send a signal to Fan when set to Auto, is there any way to test the signal? Is there a separate Fan Limit Switch on this furnace? John - You may have a short in the low voltage wire between the stat and furnace. (green controls the fan) You could also have a bad stat or bad circuit board. Is the light on the circuit board blinking you a code that could be helpful in narrowing down the possibilities? BLOWER FAN STAYS RUN CONSTANT. And the thermostat is in the off position. My husband handed me the part and told me to order a new one for our Hvac unit. L350 36tx16 was clearly legible so this is what I ordered. My husband replaced it but it keeps kicking off. It blew warm air briefly then kicked off again. My husband thinks I ordered the wrong part because the description says "manual" limit switch. Is this my fault? Dan - There is not enough information here for me to provide any real guidance. Sorry. Thank you for reading. I have an older furnace, when i change the filter and put the bottom door back on it hits the limit switch and turns it on, what do you suggest I do. Is it safe to run my furnace without the bottom panel on? just trying to save some money as I just had to replace my water heater 6 days ago! When it rains it pours..one thing after another! Well, don't forget that's not 24V wiring first off so power down. The lid should squeeze in on the sides and pop straight back off. Some are tighter than others. Then you'll see the screws that hold it on. Pay attention to how it's currently wired. (take pics). Measure the probe going into the unit to match a replacement. Then put it back together. Make sure you read the instructions. You may have a "jumper" on the new part that needs cut. Not all but some require this. Mr. Johnson - You are correct and thus the reason it's written assuming you've already established that it's a bad limit by going to the "common furnace problem" link where it says to check your filter. Thank you for looking out for my readers and I'm sorry if I took a service call from you. You're in the business apparently and thus would agree that a "strapped" homeowner might want to give this a try for $25 as opposed to paying a few hundred for someone else to do. You see my articles are intended to help folks who are in need. It is my firm belief that no one should be deprived of heat because they can afford the high rates of HVAC service companies. I understand the rates. I do....that doesn't change the fact that some cannot afford them. 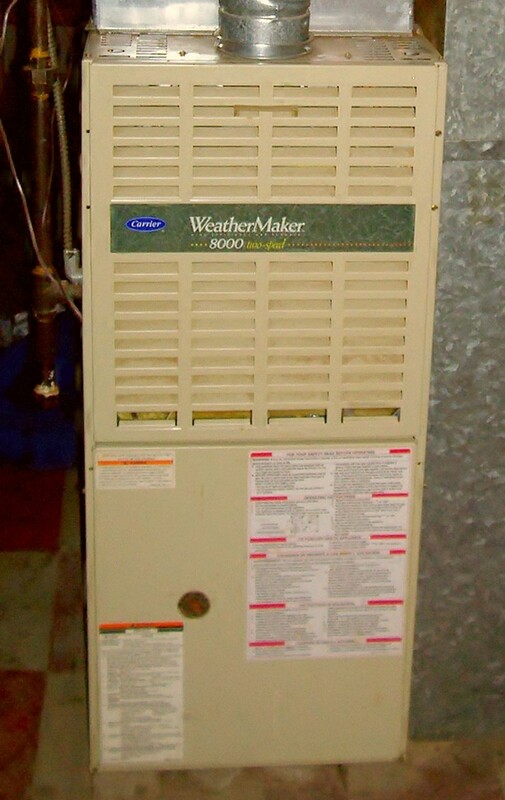 You know as well as I do that most furnace problems are simple and do not take a degree or years of experience. Even if a homeowner buys a few simple parts in the process of finding the one that works, they come out better off financially and perhaps end up with a few spare, commonly used/needed parts. Again though, thank you for reinforcing to readers that they should be checking their filters. It is quite important. That's nice and all...... Except if you establish it is inface an open limit switch and its the newer style you don't usually need to replace it. Usually it's a bad filter and a simple tap to the switch assy will fix your problem. very clearly written and reassuring because you are so thoroughly knowledgeable. I don't think I'd attempt this fix myself, but at least you've given me the information to make a well informed decision. I don't know much about furnaces, but you make it easy to understand. Hopefully, one day in the near future we will purchase a home. I'm saving your hubs for that time! Thanks Marcy. I aim to save our furnaces one piece at a time! :-) I'll make an HVAC tech out of you yet! I had not heard of this piece of furnace anatomy before now! I will watch for these symptoms and remember this hub if I notice the symptoms you mentioned!